The Beatles has been officially announced as the next creation from Stern and Ka-Pow Pinball! 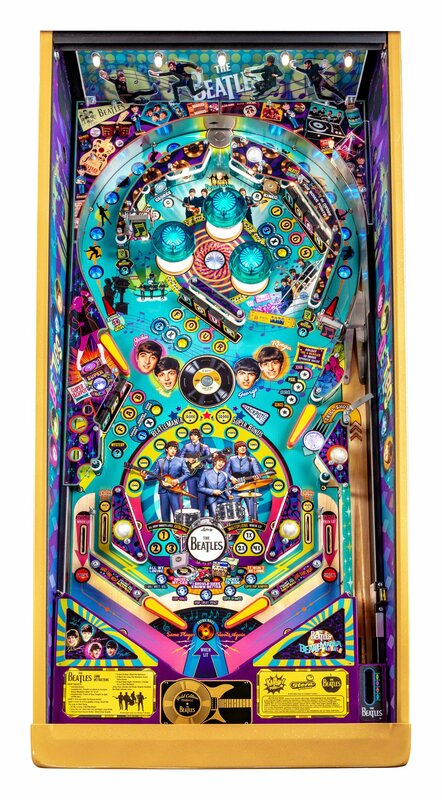 The Beatles pinball machine features artwork by Christopher Franchi, and the layout is based on the Stern Seawitch layout with some notable differences. 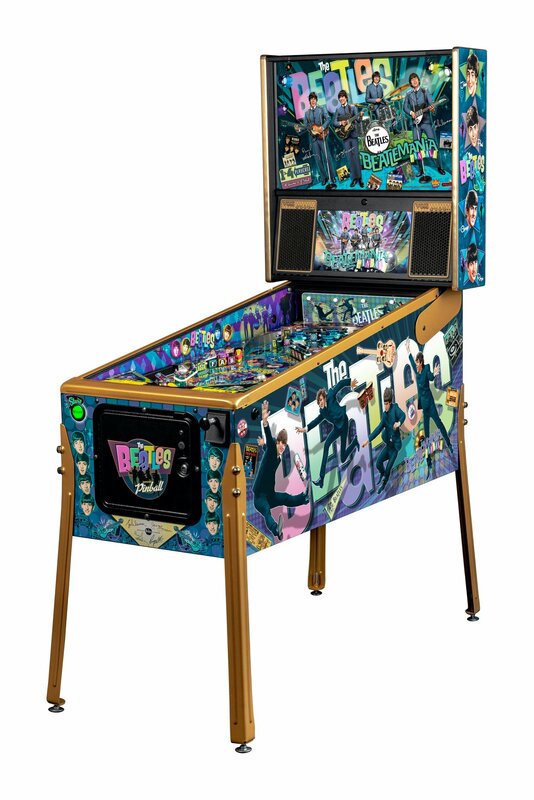 (Check out a picture of the Seawitch Pinball playfield layout here!) Check out the full press release from Stern here! 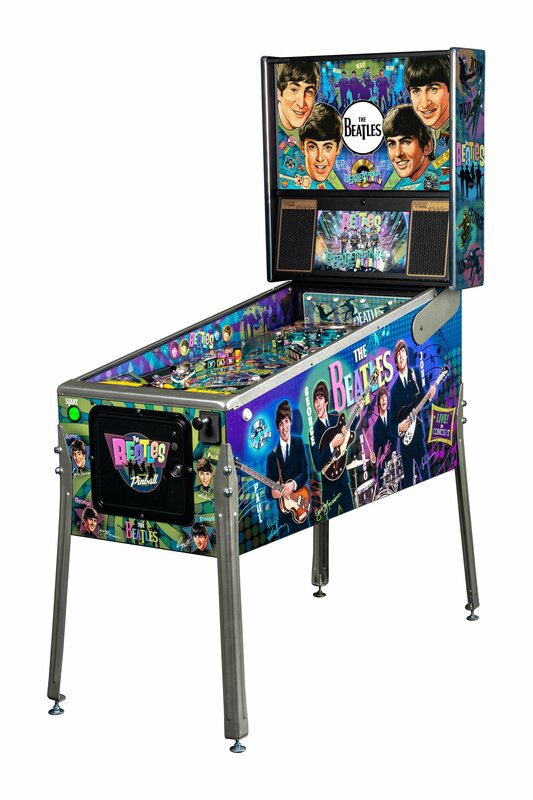 These machines are being sold to distributors in packs of 10, which includes 7 GOLD editions, 2 PLATINUM editions, and 1 DIAMOND edition. 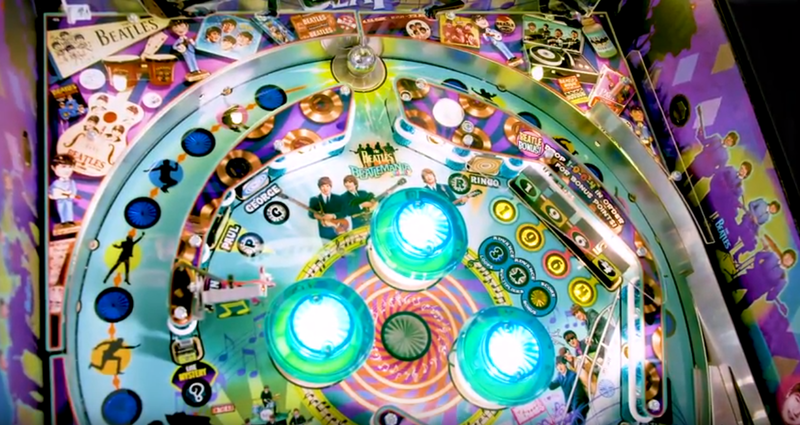 Joe Kaminkow joined the Head2Head Pinball Podcast last week – check out the full episode here! 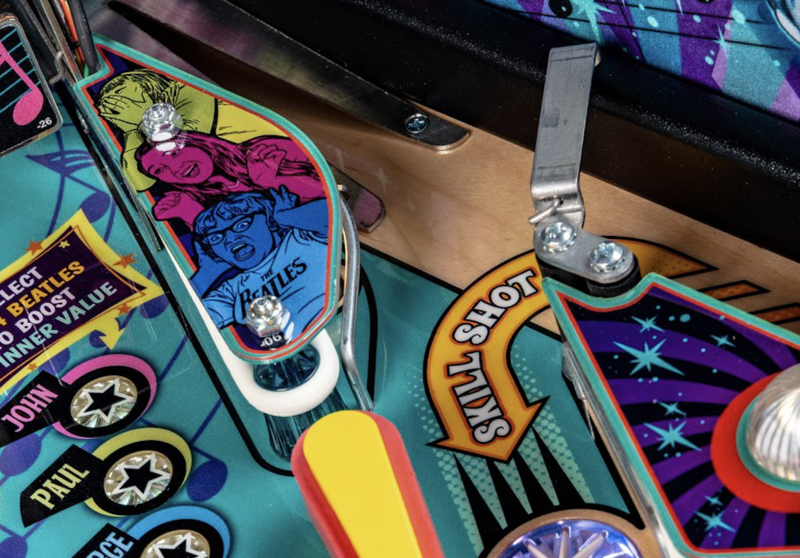 Joe Kaminkow and Gary Stern also joined the Pinball News and Pinball Magazine Podcast – check out the full episode here! Below are some excerpts from the interviews, which covered a lot of great info. 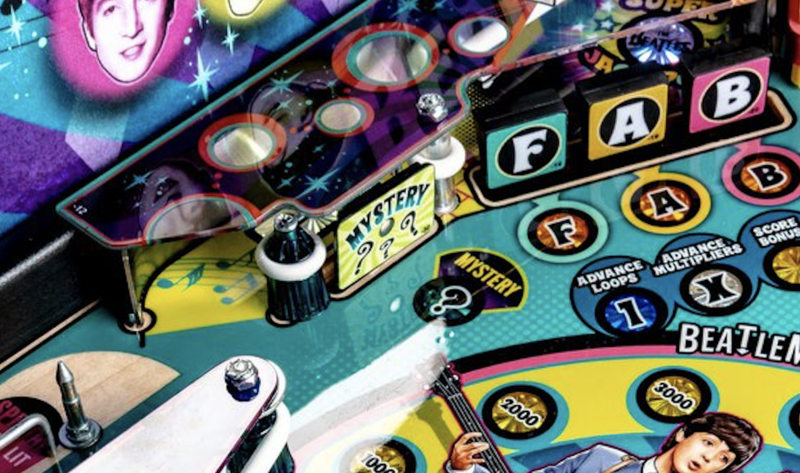 One question that pinball enthusiasts have asked is – will the machines contain the full songs or portions of the songs? If portions, how long will the clips be? Head2Head: The eight songs that are in there, will they be the full songs? Or was there any licensing restrictions about which part of the song you can play? Joe Kaminkow: There were some restrictions on length of play. Some were longer than others. 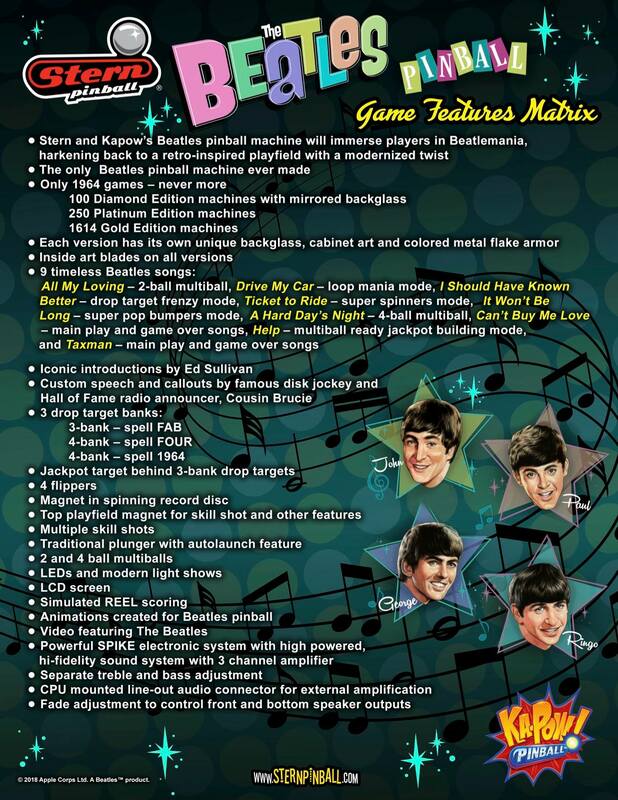 But how we designed the game – most of the modes are 30 or 45 seconds. The songs are a lot longer than that of course. But we didn’t need every last second of it. People don’t get it that are complaining. I licensed Jurassic Park, I licensed Star Wars, I had South Park, I had the best of the best of the best brands at the zenith of their moment. There has never been a license more expensive than Beatles for a pinball machine. So I hope people appreciate the risk we took to make this product, it is a huge risk. 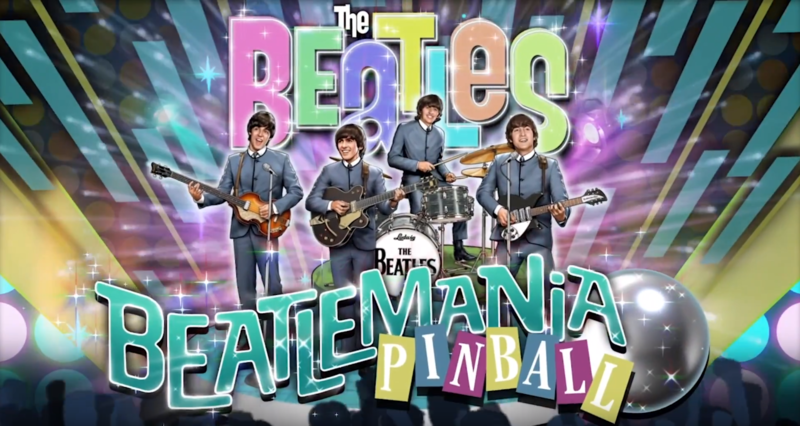 Pinball News and Pinball Magazine: This game features eight songs by the Beatles, there has been some confusion whether it is complete songs or whether it is looped fragments, can you say anything about that? 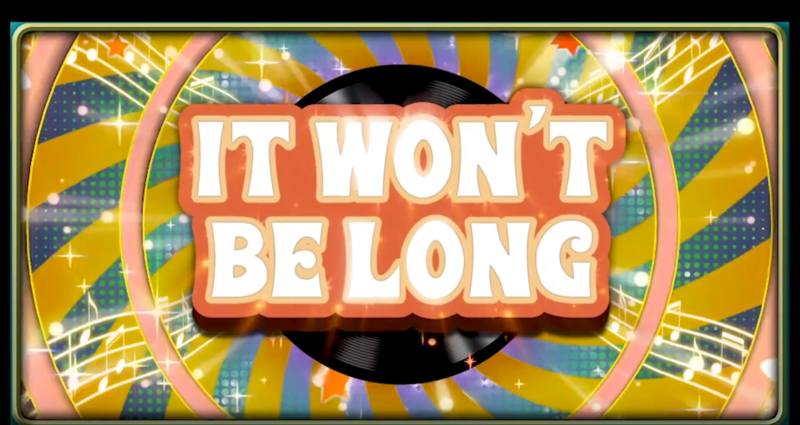 Kaminkow: The songs are all pretty long. They are actually trimmed to work in features. So some features are a minute along, some are two minutes long, some are a minute and a half long. So just depending what song and what the feature is, is how the song is trimmed…you’ll hear mostly complete songs through out the game…you make a mode, and if it is 45 seconds long, you play your background song for 45 seconds. Will it have a Coin Door, can it be put on location? Another question people have been asking is: Will it have a working coin door? Head2Head: We saw the Diamond Edition the other day, and there didn’t seem to be a coin slot in the door. 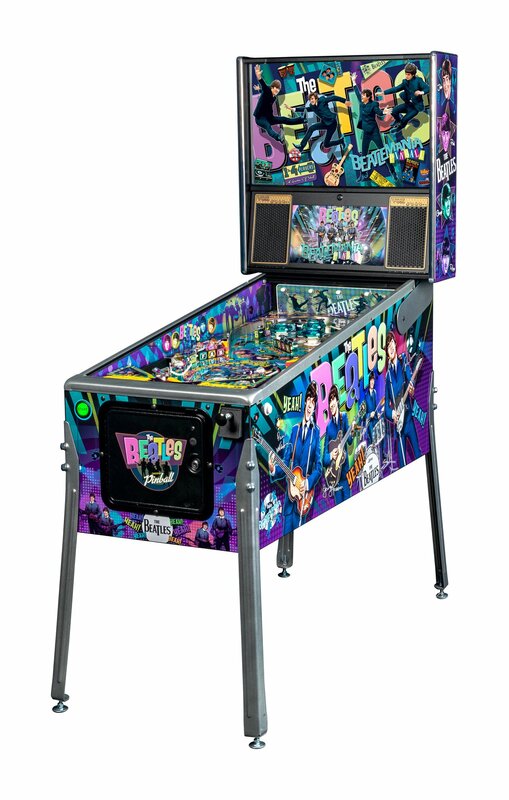 Will there be an option to ship with a coin door, and will you be able to put this machine on site? Kaminkow: Yes. So all the speculation that no – the answer is yes…does everybody want one? No. 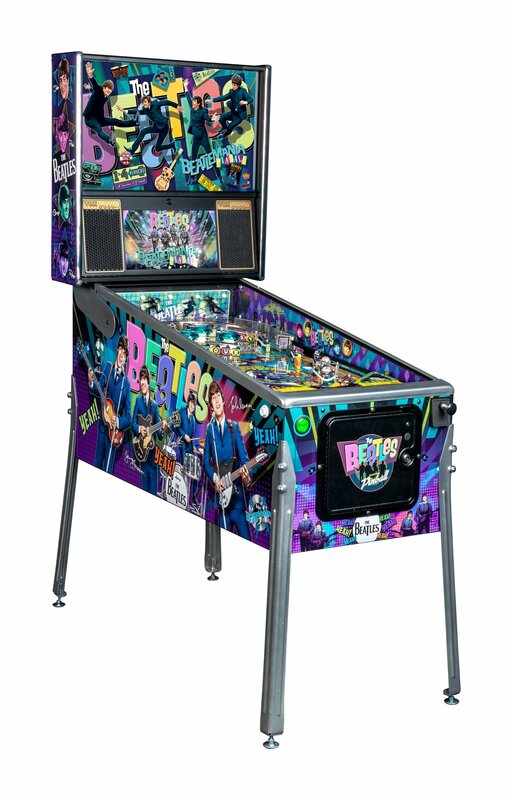 But if you want one and you want to put it in your arcade…if you want to put a coin door on it and operate it, go right ahead. 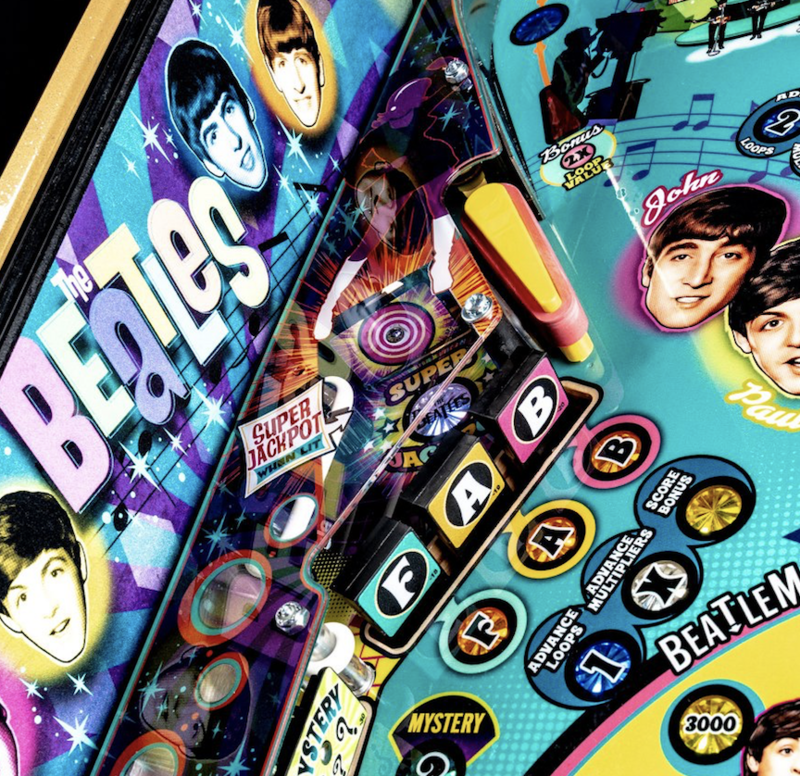 Kaminkow: We want to see these things family entertainment centers and bowling alleys and movie theaters and Dave and Busters and places like that. Kaminkow: No that’s not true. 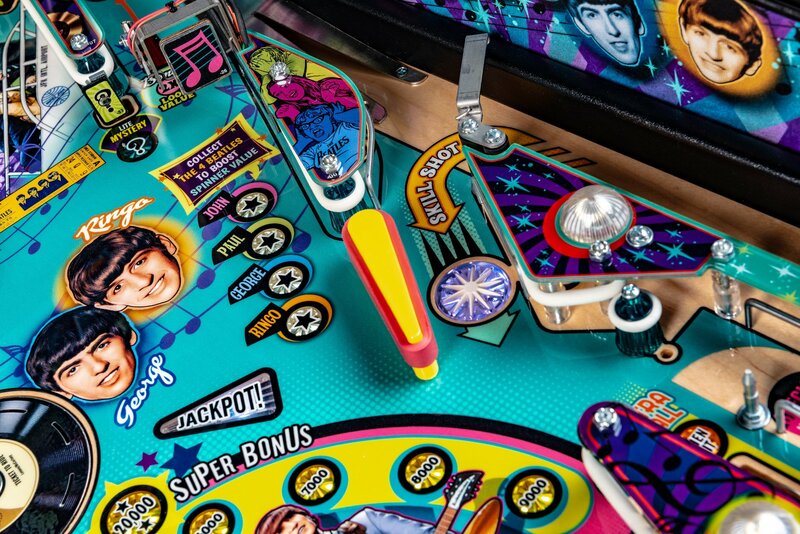 Pinball News and Pinball Magazine: Apparently the game wasn’t supposed to go on location? 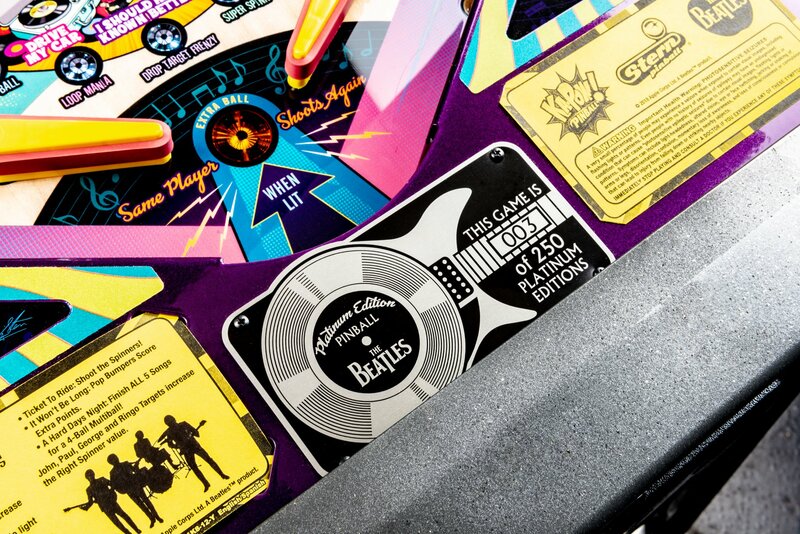 Kaminkow: You can put it on location…we have their approval for the game to have coin doors. Though we expect most of them will go into personal collections, a good portion of them. Kaminkow: A good portion of the product is already sold. There aren’t going to be that many unspoken for at the end of the next week or two. Obviously our distributors have stepped up and ordered robustly. And some of the collectable places have done the same. 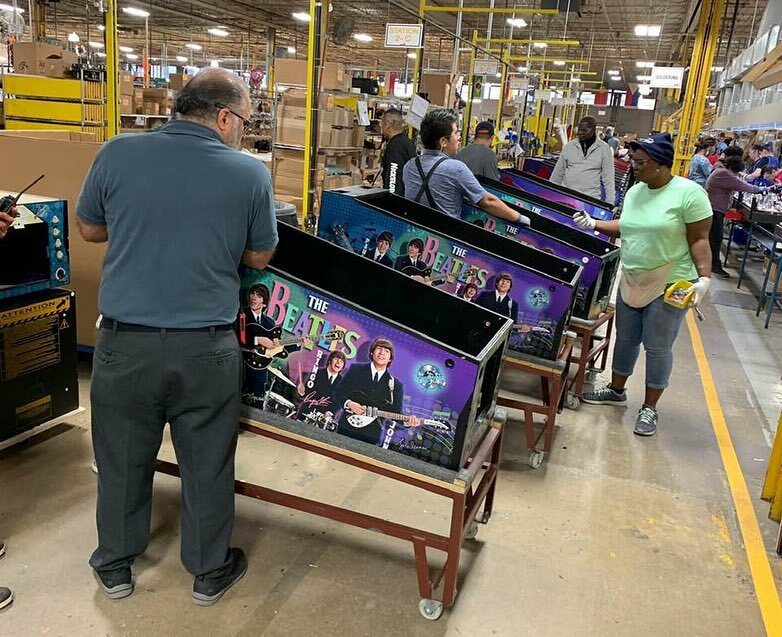 I don’t think it is going to on the line for very long…this Christmas a good portion of them are going to get sold and be gone. 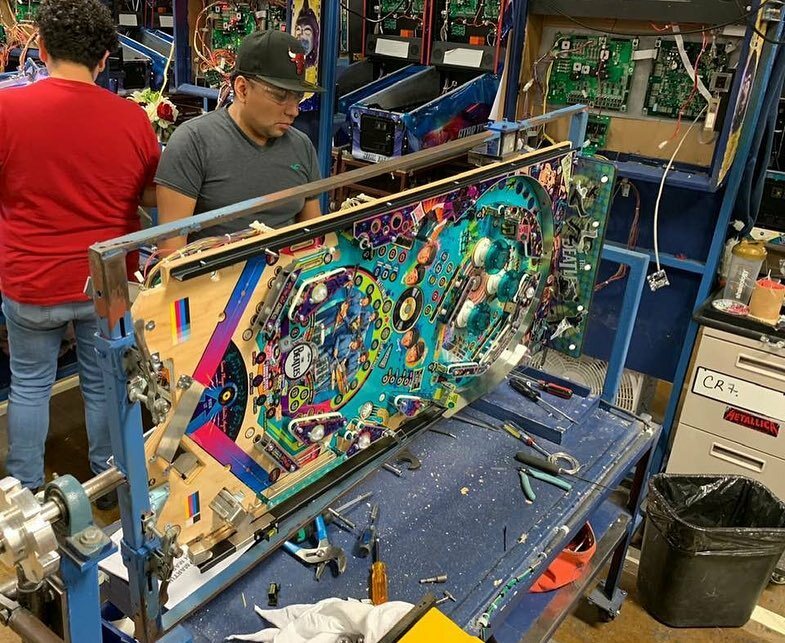 Pinball News and Pinball Magazine: This is a title that is in a couple weeks, off the line and gone? Gary Stern: The first thousand will be built right away, and they’ll be sold in packages to our dealers and distributors. 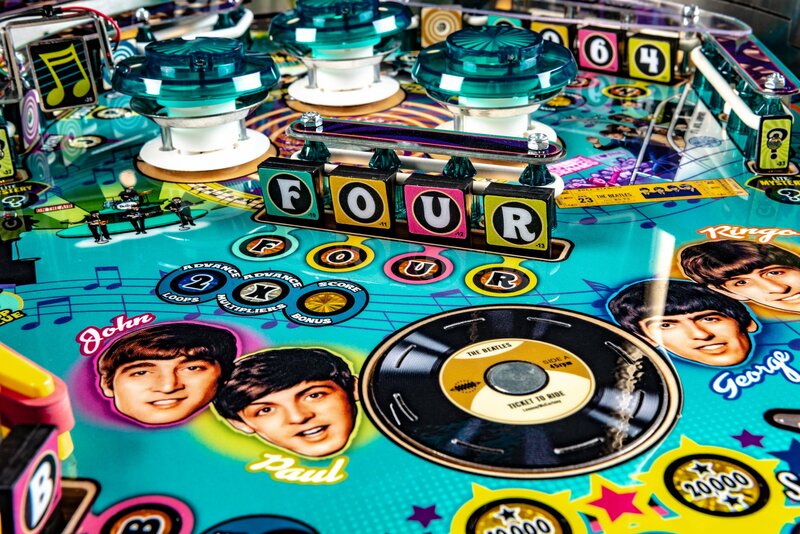 They’ll be sold in packages of 10, one Diamond out of the 100 Diamond, two Platinum out of the 250 Platinum – so we’re only using 200 of them right away, and then seven of the Gold…that leaves 964 more games, most of them of course being Gold. And we may make a few more Gold this year. We’ll make the last 50 Platinums probably next year. And we’ll make more Golds next year. We can only make so many. And those thousand are spoken for. 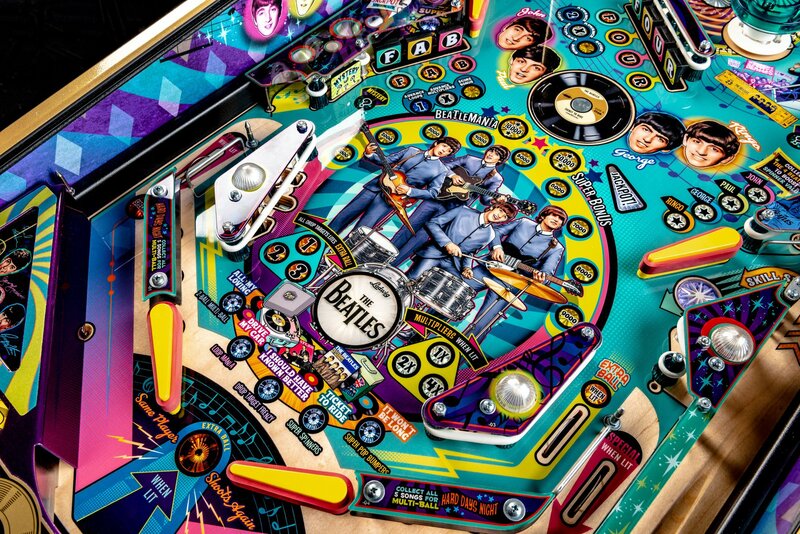 Pinball News and Pinball Magazine: How far is the code along for Beatles? Gary Stern: 1.0 code. Will we do some things or add some things later? Maybe. But this is very good code. Jack Danger of Dead Flip will be streaming this machine soon on his Twitch channel! Keep an eye out for that information, and we’ll share it on TWIP as soon as we learn more. 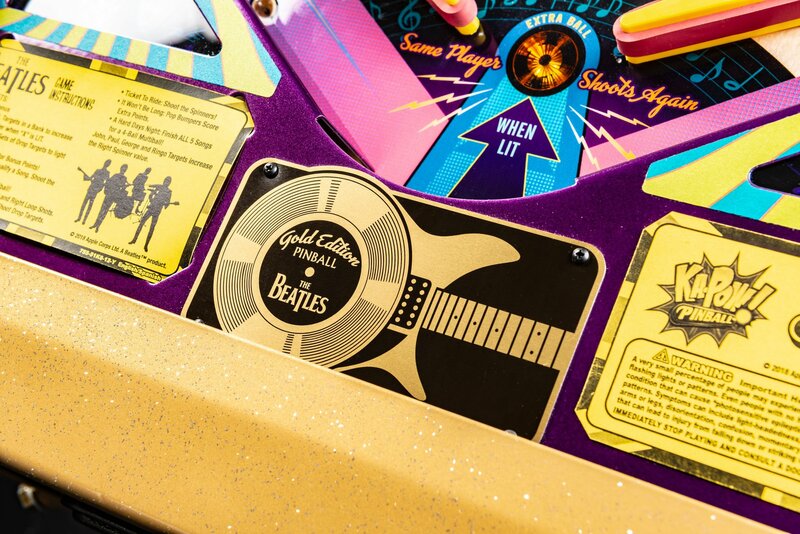 There will also be GOLD editions at the International Association of Amusement Parks and Attractions (IAAPA) show November 13th-16th in Orlando, which will be the machine’s first public appearance. So get over there and play them! 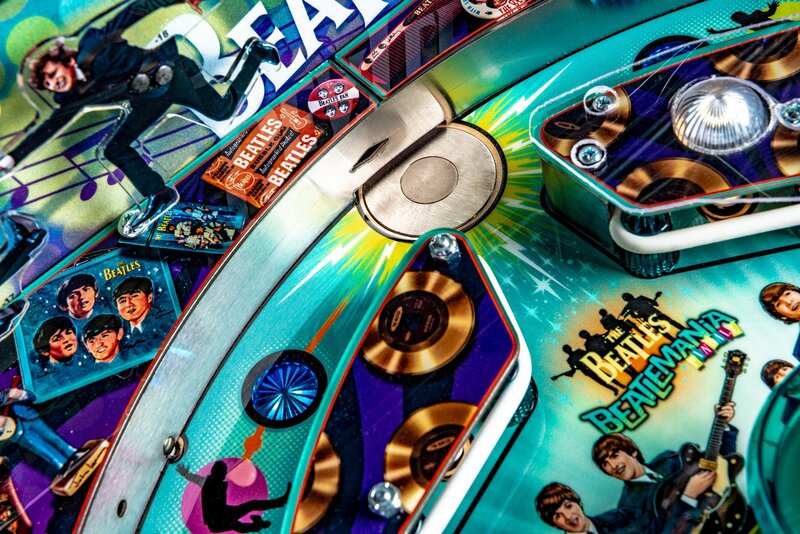 BONUS: Will We Ever See Another Beatles Pinball Machine? 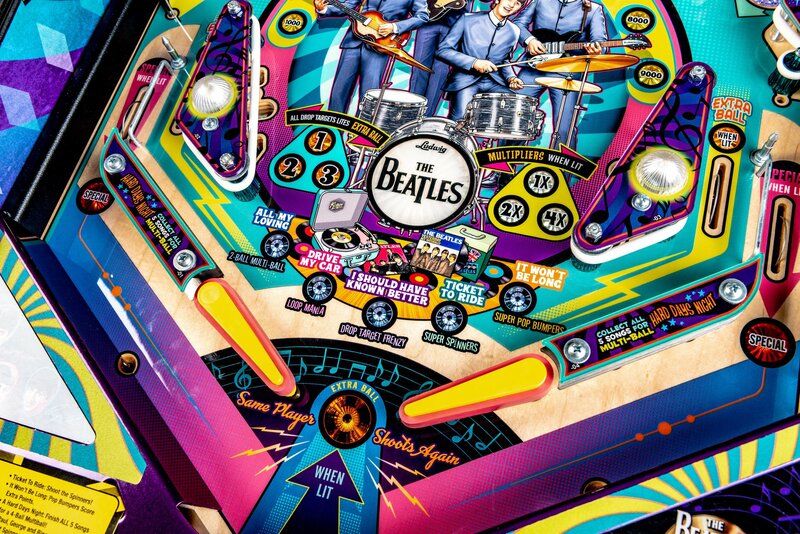 Pinball News and Pinball Magazine: Obviously the Beatles made a lot of music in their career…assuming this game is going to be a success and all games will be sold…would there be a chance in a couple years you might say “You know what, why not do a Sgt. Peppers…there is a relation with the licensors, if they like what they did before could it work? Kaminkow: I certainly wouldn’t preclude anything. But nothing is in the works. Right now our focus is lets finish this game, get it in production, get it in the hands of the consumer, see how it does in the market place, see how people like it. 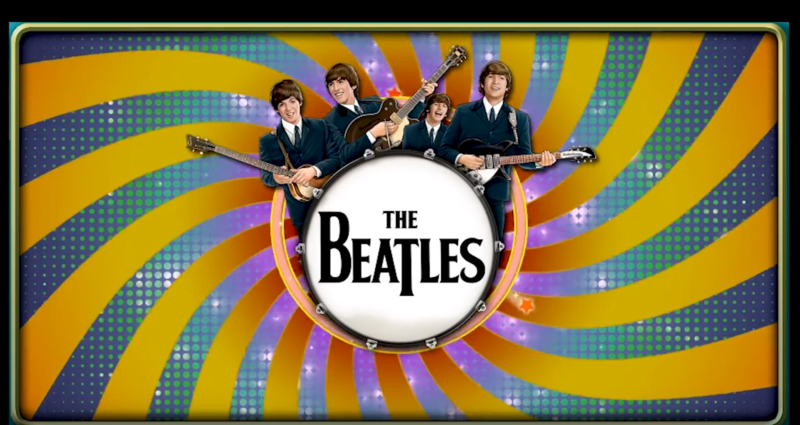 And…obviously there are a lot of different eras of the Beatles, whether it is making a White Album or Rubber Soul, who knows? Or Sgt. Peppers or Yellow Submarine, who knows. There is always that possibility but for right now we’re just going to keep our focus on what we’re putting in the market and then we’ll assess that and other things we’ve talked about for the future. Obviously building relationships with licensors and having good experiences and having them happy with the result of your hard work, you always keep relationships intact. Next Next post: November Giveaway Extravaganza! October Winners!